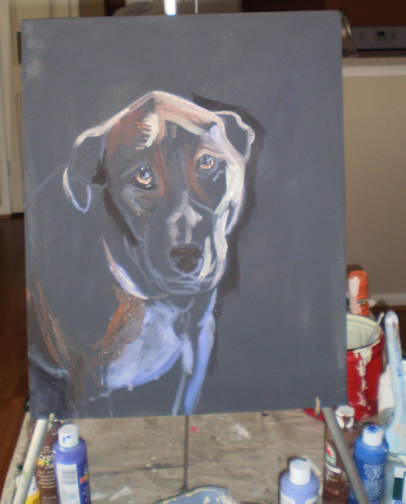 Something I always wanted to try my hand at- dog portraits!.. 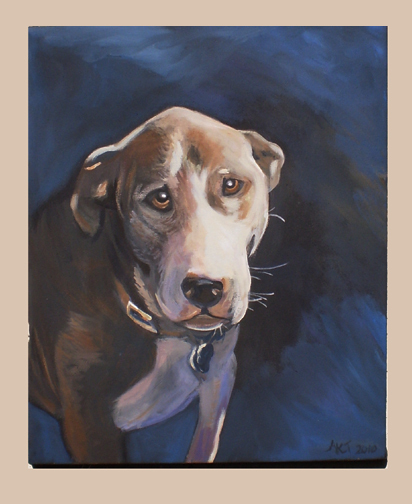 A friend of mine very involved in her local Humane Society had asked me to donate a pet painting as a prize for one of their fundraisers. I was more than happy to help out. 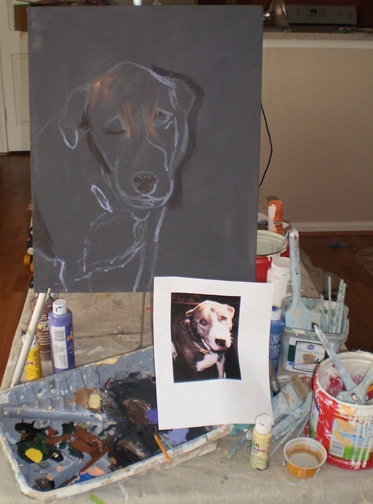 Although I had never painted a pet portrait before, the basic laws of color and composition applied just as they do for any work of art. To begin with, I painted the canvas a medium brown color. That way I would ensure my portrait had the drama it needed to stand out and come to life. You can see the photograph I used as my reference- her name was Duchee. Because animals are often very neutral in color- blacks, browns, greys and whites- it’s important to work in unexpected colors in your highlights and shadows. That’s what we call ‘artistic license’, but it’s also what distinguishes paintings from photographs. 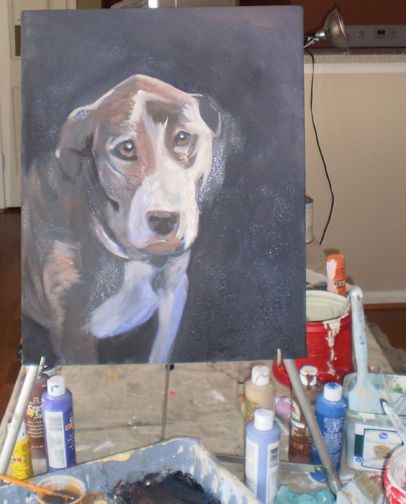 Yes, I want the painting to look like Duchess, but I also want the painting to be dramatic and beautiful. In this case, I used tones of orange, yellow and purple to give the painting dimension. Lastly, just because I didn’t want the background to be too detailed, doesn’t mean it should be boring either. Shades of blue added texture and complimented the tones in the dog. The end result is a painting with soul.